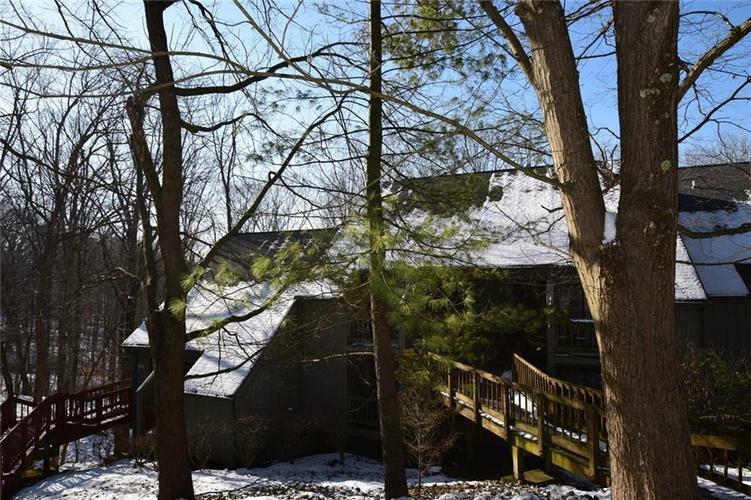 Updated 1 bedroom, 1 bath condo overlooking a wooded ravine that leads to a peaceful cove on Lake Monroe. Recent updates include bamboo flooring in the living area and bedroom along with a custom fireplace surround with built-in flat screen mount. Also, the bathroom has been updated with new tile, vanity, mirror and more. Back deck has a great view of the woods and nature and the front deck off the bedroom is a great place to enjoy that morning coffee. Directions:Eagle Pointe Resort. Stop at Security Gate, turn right at Pointe View, left at Pointe Ridge. Third building on right, middle unit.